A week in New York City, a Hackathon in Beijing, a virtual meetup attended by members from all over the world…Elastos really is new power. Feng Han and Fay Li mingled at Consensus while the community began plans for its Bounty Program. With all of these minds contributing to our construction, you start to wonder, are we building something that just might transcend tech altogether? 11. Started the development of transplanting Ethereum VM to ELA side chains. 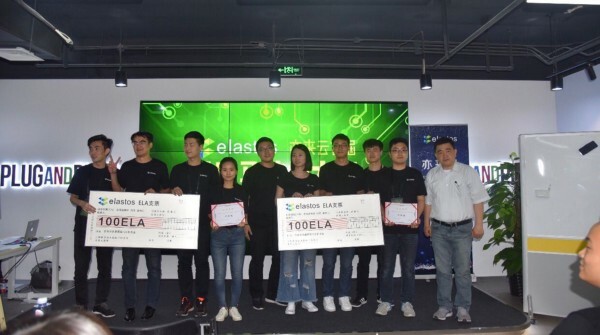 Elastos hosted a 24 hour hackathon in Beijing. Feng Han and Roy Huang of Fresco will be hosting a joint meetup on May 20th. 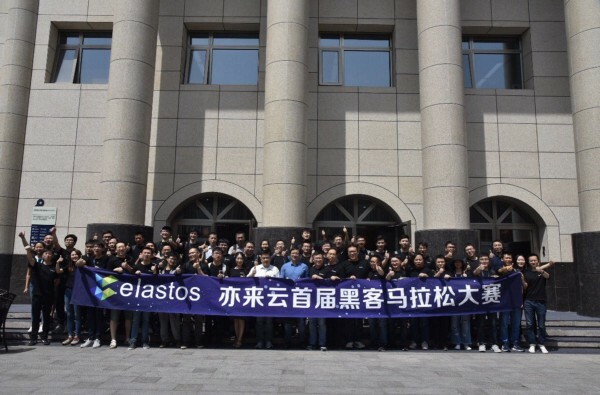 Elastos held its first 24 hour hackathon in Beijing on May 12–13. Team ZXL from Tsinghua University won out a dozen teams. Below is a description of some of the teams and their submissions. ZXL- Software engineers with over 5 years Android experience. Their participated design was to make smart home applications and aim to build a decentralized smart home device sharing platform. Matchbox: Developed a P2P instant chatting message software based on blockchain. Users using the software can do P2P chat with friends, and manage multiple accounts at the same time. The software also allows QR code for digital signature. Caterpillar Team: Developed a P2P chat app that allows private chat, sharing location and file transfer. National Chain Team: Team members include a full-stack engineer graduated from Fudan University with a masters degree in engineering, and one that has 4 years of experience of relevant software engineering. They designed a game that targets children and teenagers based on blockchain, Elastos Carrier P2P and other programming elements. The purpose of the game is to educate children on engineering, cognitive recognition capability, logical thinking and other methodologies for problem solving. 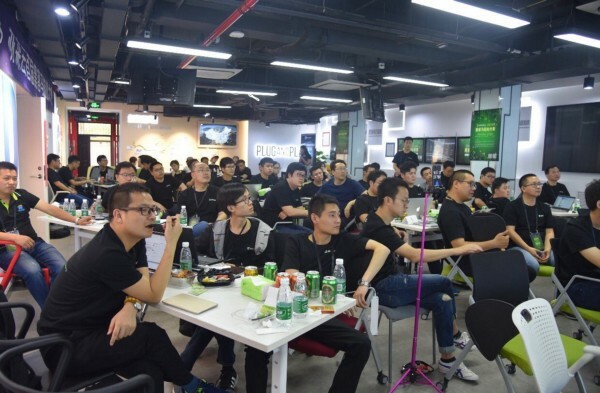 Yi Lai Wen Team: Team members include a PhD student from Tsinghua University, software engineers from Ericsson, blockchain enthusiasts, and Tsinghua blockchain public class members. Their participated design was a voting platform based on blockchain to realize the real values of blockchain. Bi Teng Xin Chain: Bi Teng Xin Chain is a software company in Shanghai that focuses on designing software for medium and large size of enterprises. They designed a DApp called Free Novel using Elastos Carrier SDK. Free Novel is a decentralized Kindle that eliminates middle men profits, provides authors with freedom, and avoids piracy. BIT.GAME: Designed a social media tool called Flash Message based on Elastos Carrier SDK. The design was simple, streamlined, and minimal but with necessary options. The tool can be used anytime by its users to publish information. Once the information is read by readers, it will disappear. There’s also a token stimulus mechanism involved. Shui Mu Xin Bu: He’s an entrepreneur in the internet field and a DAO believer. He designed a decentralized chatting tool called “Elagram” which requires no new user registration and users can have P2P chats. 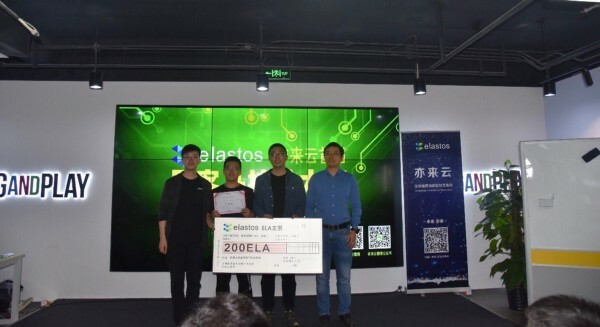 On May 15th, Elastos hosted its first Virtual Meetup organized by Kevin Zhang, KP Woods, and Clarence Lui. The meetup focused on the Bounty Program and was attended virtually by people all over the world. Elastos plans to host more virtual community meetups for different audiences: community leaders, developers, and the wider community. All meetups will be recorded and shared on youtube. Each meetup will be assigned 30 minutes to cover a specific topic with a Q and A to follow. The next virtual meetup will be sometime next week and be open to the entire community. An invite will be available through our normal channels. Elastos…is a work of art. Not unlike a master artist, Rong Chen has worked on his masterpiece for 18 years, and his journey to get there started long before that. What Rong has envisioned is this: Elastos is collective work of art. A collective dream. An inherently unifying experience. Elastos, is a mirror. We are about to enter a collective dream. We are the cyber dreamers, waking the world out of the illusion of interconnectedness we are told we already have. Will you dare with us to dream a better dream? Then it was Feng’s turn to speak. For all of the profundities that Rong spoke of, Feng Han parted the seas of the universe itself and put them back together. But in that brief opening, what you saw, if you paid close attention, was enlightening. Feng began to discuss the concept of quantum wealth. He explained that he originally studied quantum physics when he got his bachelor’s degree but could not really believe what he was learning and went on to start a business after college. Years later, after finally understanding it, he got his PhD. from Tshinghua University. He found the quantum world to be literally unbelievable. But what was it that he could not believe? There are unseen realities. Entire worlds that operate in radical and baffling ways to our normal everyday experience. These worlds are shocking, revolutionary, and for some, life changing upon learning about their existence. Stranger still, we have known about them for well over 100 years. These sub-atomic realities paint a very different picture of our everyday life. How matter behaves at the smallest levels is quite unreal, even illusory. When one tries to reconcile these discoveries with the world at large and with its predecessor, classical or Newtonian physics, they are left with more philosophy than science sometimes. The macro world is a world of lack and extreme competition. The quantum world is a world of abundance and wild collaboration. It seems that what happens in the invisible realm may be of even more value to us than what happens in the visible one. If only we could understand it. So what does this radical and hidden world have to do with Elastos? Think of the current internet like the world of classical physics, where people only direct their attention to the big picture, the visible. On this internet it would appear that capitalism exists in many forms. We can buy and sell physical things, we can make money in what appear to be free markets, and we seem to have freedom and self-determination. It appears that the internet is much like the real world, and maybe, that’s Feng’s point. But what if the wealth online, the native currency, the natural resource of the internet, is not money? What if it is something invisible? Something most people are not even aware exists? Something that behaves mysteriously to the average person? Then, without this knowledge, would we really be participating in a free market at all? This is the true wealth on the internet. Whoever owns it, whoever controls it, controls the wealth. Think of data as the sub-atomic particle of this online world. We don’t see it. It’s invisible. It’s mysterious and unknown to most of us. But if one can control the subatomic world then they could in theory control the macro world, the world we see. The internet giants control this hidden world and therefore control the larger world we all see. We know they are controlling all of the wealth, but we don’t see how they are doing it. They are doing it with an illusion. What is beyond this illusion? We have to understand that we don’t really exist online. The internet is not a physical place. We exist there as our data. Our data represents us. It is who we are and the value we create for ourselves. Yet, because we do not even know this, because we have not been taught that our data is ours, we have given it away so easily and wondered why the tech giants are so rich while so much of the online world is so poor. We exist as data and someone else owns it. This system that the tech giants have hid from us, this system they have profited so massively from, the current internet itself, is not really capitalist at all. All this time, the internet has not really been capitalist when it comes to the free market of its inherent and unique currency. A very small number of companies control all of the data online. If the average person cannot own their own data, cannot own the code, and their only job is to produce the data and push it around to other people for the big companies to own and profit from, then the internet is something far worse than monopoly capitalism. We do not have real identities and real ownership of our wealth online but are more like amorphous, miasma-like creatures ripe for disenfranchisement as the data of our online selves is funneled into the data of others bank accounts. Put simply, we don’t own ourselves on the internet. We thought we were profiles and pictures and videos but we’re really code. We don’t own the code — therefore, we do not own ourselves. Regular people are not even in the game. We produce the natural resource, we do all of the work, and we get nothing. Instead, we get distracted by the macro. By the illusion of the internet and the satisfaction these giants promise. It’s all a giant form of smoke and mirrors. You look at the visible and stay addicted, while they take all of the invisible oil you are producing out from under you and profit off of it without you even knowing. And this is all while spinning a narrative that never even mentions how valuable your data is. We essentially pay for the services of Facebook or Google by agreeing to give over our data. These companies know what we search for, what we share, what we buy, and use this information to make money. They also use this data to buy out the competition which they can see coming from a long way off because of data, stifling competition and cementing their monopolies. They say their services help the world. But how can we know if this tradeoff is equal when no other option exists? Data is the oil of the 21st century. But unlike oil, we don’t need to look for this natural resource. It is a commodity and a good that we produce and we should be able to own it and profit from it and make it scarce. We deserve a real capitalist system online that involves the internet’s native currency. We need to own ourselves online. Elastos will be the first truly capitalist society on the internet, ever. Yes. We are all now entrepreneurs because we are all going to be playing with the same currency. So away with the idea that someone else owns “you” on the internet, and they sell “you” on the internet, and they make money off of “you” on the internet. We say: Own yourself! Own the internet! Join the internet of actual capitalism! Elastos is not about sharing equally in the internet economy, but about being able to share at all. We are not redistributing the wealth, we are allowing the wealth to actually be distributed and accessible to the people creating it in the first place. We all understand how to give value to our car, to our house, to our bank account. But now we need to understand how to give value to our thoughts, our ideas, our data. Feng Han says, “Our knowledge can become our asset.” This is innovation capitalism. This is when we learn to be like Einstein, and Heisenberg, and Schrodinger, and find out that the invisible world is where the value is; our minds are where the value is. Rong Chen has built a work of art to allow us to incubate what makes us so valuable in the first place — our uniqueness, our individuality, our freedom, our thoughts, our ideas and our representative for all of this on the internet — our code. The internet has been totalitarian this whole time, and most of us never even realized it. So let us start a new one — let us take the power back and be self-reliant. A tidal wave. A much bigger one. That is possible now. Up until now data has either been worthless because it can be copied or it has not been able to be owned at all. This is going to change. In 1995, the internet ushered in a new capitalism that connected people to each other all over the world 24 hours a day. Now, with digital ownership and the ability to profit from it, a new age of data will reinvent capitalism online. 1995 was not that long ago, and yet Bill Gates said in an interview that year, “It’s very hip to be on the internet right now.” Wow. People were not aware what was about to happen, and most are unaware again. People are going to profit from their own data. If it is an option, many are going to take it. This is part of the tidal wave Rong speaks of. The internet is symbolic of the unified field, a place without separation. Non-locality is a principle that shows that particles even billions of lightyears apart can be instantaneously influenced by each other, defying all rules of time and space and painting a portrait of the universe as a smart ecosystem of oneness. We are getting closer and closer to that universe online, and it is becoming seamless with the physical world. For the internet is not just symbolic of the universe, but a part of it too. Everyone in technology is so obsessed with creating the new, that we forget that what we are creating can symbolize something very old. Something…ancient even. A sort of nostalgia. A memory, or a feeling, or even just a faint impression of a world where we are actually connected. A safe world. A place where we don’t worry as much about being taken advantage of. Of our freedom being taken away. Where we are actually ourselves and yet in harmony with others. The blockchain, this trust machine, this ledger, is as old as humans. The primordial account of who did what, of who is who. We may be building the new internet, but we are really building the first world, or the first idea of a world. A safe place where we are all connected and power is shared. It’s not about the unknown, but about what is known so well that it has been forgotten. We have become so used to the chaos and the attacks and the monopolies and the lack of trust that we have forgotten that no one in their right mind would dream up such an internet. But what if in the right state of mind, a better internet was dreamed up? This is what we are building. It is not like any other project. It is not trying to evolve out of the current internet, for why would one want to evolve out of what is broken? This is starting over. Going back to the beginning. What is the internet? How do we access the internet? How do we make sure the internet is safe? How do we make sure we know who is who and what is what that is connected to the internet? How do we take the internet’s inherent natural resource, its unique value, and allow the people who produce it to own it and decide what to do with it? How do we build an internet that makes sense? That’s what happened all those years ago. Someone started asking and answering those questions. Now, you come in. Because this world is for you. It’s for you to have a haven that makes sense in the senseless world of the internet. Coming out of the Manhattan rain on Saturday afternoon, one might have imagined Rong Chen as a character in a Bob Dylan song, “I came in from the wilderness, a creature void of form, come in she said I’ll give ya, shelter from the storm.” We are all that creature void of form, this data, out in the wilderness, this internet, and we are being invited into a world that is a true shelter from it. Art reveals what is hidden, just like quantum physics, and just like Elastos. So let’s reveal to the world what is hidden on the internet. Let’s be artists, and scientists, and human beings that can reimagine something that has become far too unimaginative. Dylan goes on to sing, “Try imagining a place that’s always safe and warm.” So go ahead, imagine it. Then help us build it.